Many cross-cultural mission workers return from an assignment overseas, whether a two-week visit or 40 years abroad, with a multitude of conflicting emotions and impressions which, if unaddressed, can cause them ongoing problems. Whether they are back in the UK for good or are on a short visit, they may well be struggling with reverse culture shock, and debriefing is part of helping them to come to terms with their experiences. Debriefing made me aware of possible reactions to expect and it was reassuring to know there was further help if needed. Structured: Debriefing is not merely a random conversation; it is an intentional, planned time of reflection. And it is more than just asking a person “What would you like to talk about?”; it is a conversation guided by thought-provoking questions in which the debriefer is looking out for specific unresolved issues. Confidential: This is vital. Without confidentiality the mission worker may not feel free to talk about some of their challenges and doubts for fear that it will get back to the wrong person. There are limits to confidentiality: child protection issues, the risk that the mission worker will inflict serious injury to self or others, and the suspicion that they are planning an act of terrorism, but apart from these the mission worker must be able to trust that anything said in the session is not recorded or repeated. Talk: This is about the mission worker and they should have the time and freedom for self-expression. The debriefer’s role is to listen. Feelings and experiences: This is not so much about the routine and practical issues of their mission experience but about their thoughts and feelings, which they may need help in working through. Detriment/enrichment: Research suggests that many mission workers experience significant levels of stress and can go on to develop emotional or psychiatric problems after they return ‘home’. Debriefing is a significant factor in preventing this happening. My organisation offered no help when I returned. I felt I really needed help from people who really understand the pressures of ‘re-entry’ and the symptoms of burn-out. How vital is support and debriefing in the period following return. Debriefing differs from an operational review or appraisal which will ask for information about the work performed and what was achieved, with a view to learning what was done well, what could have been done better, and what changes should be made. Debriefing asks how the experience was for the individual and aims to help them integrate their experience into their life as a whole, perceive the experience more meaning-fully, and bring a sense of closure. A review or appraisal may be done with the benefit of the church or agency in mind so that procedures can be improved; debriefing is done solely for the benefit of the mission worker and must be treated as confidential. What are the key skills needed in debriefing? Asking open-ended questions. Using questions which can be answered with ‘yes’ or ‘no’ does not keep a conversation flowing. Questions like ‘How did you feel when….’ are more effective. Active listening. People talk more freely when they are confident that the debriefer is paying attention. Maintaining eye contact, nodding occasionally, showing emotion and encouraging from time to time with short comments like ‘uh huh’ demonstrate your interest. Waiting for answers. When a mission worker is silent, it can be tempting to jump in and reword the question or even suggest an answer. But the silence belongs to the mission worker and it shouldn’t be taken away. The mission worker may be using the silence to thing about the answer, come to terms with their feelings and find the courage to say something. A useful tip is to make sure you can see a clock with a second hand, and allow at least a minute’s silence. Awareness of body language. Body language can be a key indicator of how a person is feeling. An open, relaxed posture tells you the mission worker is feeling comfortable while arms folded across the chest may be a sign of defensiveness. Staring at the ground mind indicate negative emotions and fidgeting, particularly with hands, may signify anxiety. How do we structure a debrief? Time to set ground rules, establish a rapport, and identify some positive features of their experience. Identifying what was most troubling. Ask the mission worker to identify up to three issues which troubled them. Facts, thoughts and feelings. Explore the issues one by one, working through facts, thoughts and feelings before starting on the next issue. Any other aspects you want to discuss? Give the mission worker a chance to raise anything else. Did you have any symptoms of stress? During this time the mission worker may have been irritable or depressed, sleeping badly or experiencing dietary problems, all of which may be indicators of stress. Normalising and teaching. This is the time for the debriefer to talk, explaining where relevant that the mission worker’s feelings and reactions are normal, and providing help and guidance on a way forward. Return ‘home’. Explore the mission worker’s feelings about being back in the UK. Explain about reverse culture shock and help them understand that it is a normal experience. Anything that was positive? It’s good to draw your time to a close with some positive reflections on their time abroad. The future. Ask them what their future plans are, and what help they need. Finish off with prayer, and check any arrangements for follow up or meeting again. However, we must also be aware that structure must not dictate to the debrief, and it is entirely appropriate to depart from this outline if the conversation naturally flows in a different direction. What are we looking out for? While some mission workers may have had a wonderful time and are giving glory to God for what has happened, certain negative issues commonly crop up and it is worth keeping an eye open for signs of them. Isolation: The mission worker may feel a lack of supportive relationships either in the field or at ‘home’, they may not understand or fit in well to local culture, or be unable to communicate effectively. Guilt – for being so wealthy, for leaving work unfinished, for leaving people behind in the field or not being there for family members at ‘home’. Conflict – with other team members, with leaders, with nationals, within their own family. Spiritual issues – loss or damage to faith, the challenge of suffering, weariness and burnout. Unfulfilled expectations – dissatisfaction in ministry, sense of failure, where is God in all this? Reverse culture shock – not settling, angry with church/culture/family, disillusioned with worldliness and materialism. Physical – tension in the shoulders, headaches, clenching teeth, tightness in the chest, digestive problems. Emotional – irritability, tearfulness, outbursts of anger and uncontrolled mood swings. Spiritual – lifeless relationship with God, loss of desire to pray, avoiding church. Couples. Couples can be debriefed separately or together. There are arguments for both but ultimately the couple should be free to make their own decision. Children. Children need debriefing too. This can be done in the context of a special conference where possible, but the children should not be overlooked. Older ones can be done together with their parents, at least for part of debrief, or separately. Even young children can be debriefed through games or drawing. Teams. Teams should be debriefed as a team – they went through the experience together so they should debrief together. This will clearly take longer if everyone is to have their say, so it’s best to set aside a day for it. 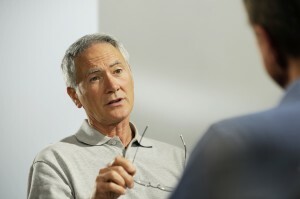 Personal debriefs can be offered as a follow up if individuals feel the need. Retirement or end of assignment. People who are not going back to the field will have an additional aspect to their debrief – loss of a vocation and possible uncertainty about the future. There may also be anger about the circumstances of finishing. People who are retiring may face loss of identity issues going from a high-responsibility role, possibly in a culture which respects age, to being ‘just another pensioner’. If people become emotional. Don’t panic! Crying, shouting, screaming are all valid ways of expressing emotion, which possibly has been suppressed or unrecognised for a long time. Allow people to do what they want. Don’t hand them tissues (as this implies telling them to stop) but make sure tissues are available on the table for them if they want them. Critical Incident Debriefing. Where a cross-cultural worker has been through a traumatic experience such as kidnapping, a major road accident or death of a close relative, CID will be appropriate. Experienced debriefers such as Interhealth or Healthlink360 (see below for websites) should be brought in to do this, preferably within 72 hours of the incident. Referring on. Sometimes debriefers come up against an issue which they feel unable to assist with and need to get more help. There is no shame in this and it is quite appropriate to refer people to a qualified counsellor or psychiatrist if they need professional help. If there is a risk of suicide or serious injury to others it should be done urgently and will supersede the requirements of confidentiality. Remember that this is all about the person being debriefed. It is a way of expressing our love and esteem for them, and this time is available for them to use as they wish. Hopefully, the experience will leave them feeling hopeful and refreshed, understanding their feelings about what they’ve been through, and not feeling so isolated and misunderstood. Debriefing Aid Workers and Missionaries by Dr Debbie Hawker (2012) is the best work on this subject and has been used extensively in preparing this presentation. It is available online at www.peopleinaid.org/publications/debriefingaidworkersprinted.aspx either as a hard copy or a pdf. Ad-mission by Graham Fawcett (1999) 978-0953584505 is also a good work but is hard to get hold of.